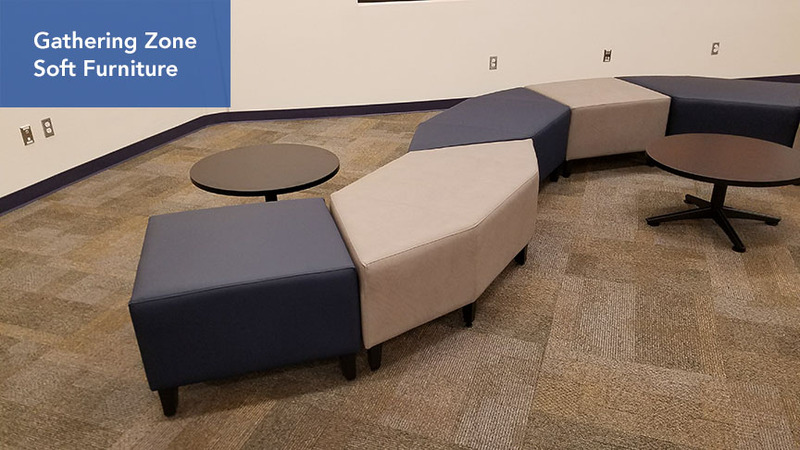 Take a circa 1970 traditional library and transform it into a 21st century learning space divided into unique learning zones. The new 21st Century Learning environment capitalizes on the digital age. 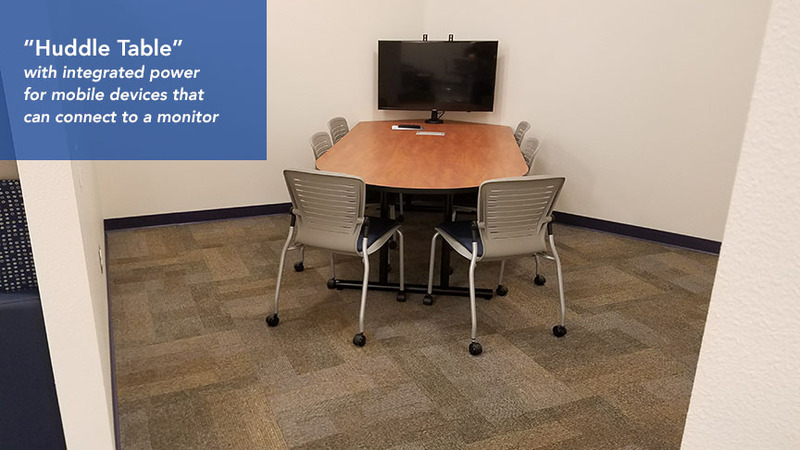 The entire space was transformed with modern flat screen monitors, data projectors and screens, high speed data ports and USB / AC power outlets so students and mentors can collaborate together on team projects. 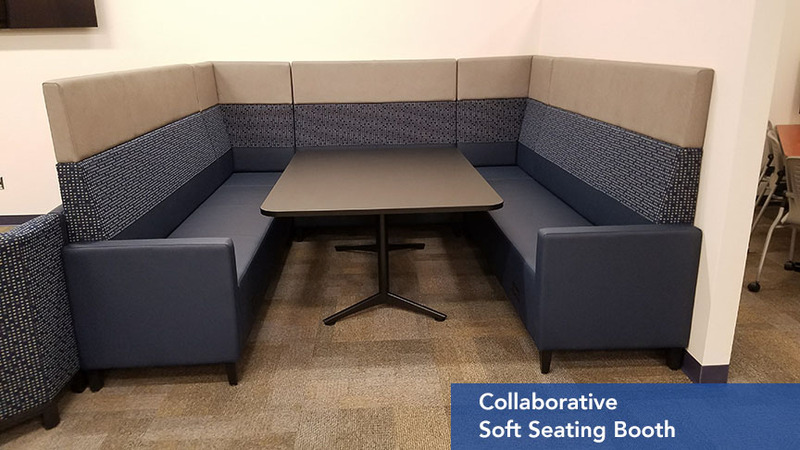 We utilized state of the art technology furniture such as “huddle tables” with integrated mobile device / AV monitor power hub so students can see their ideas on screen in real time for collaboration. 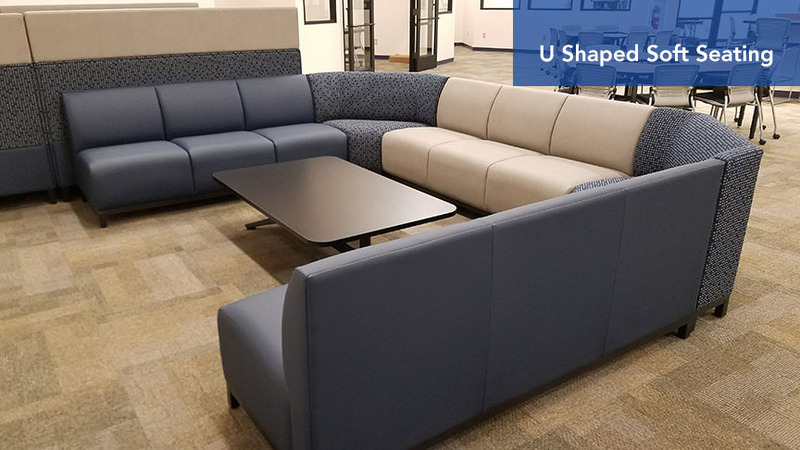 This new school community area has 9 zones: forum, design studio, group study area, personal study area, community campfire, gather zones, study booths, AV / U-shaped zone and huddle zones. 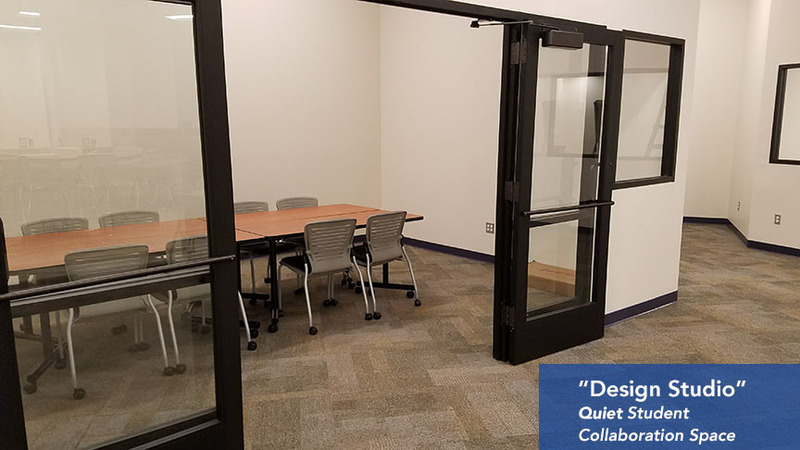 Across these zones, the new library spaces will support student group work, private study space, mobile devices, and content creation tools. 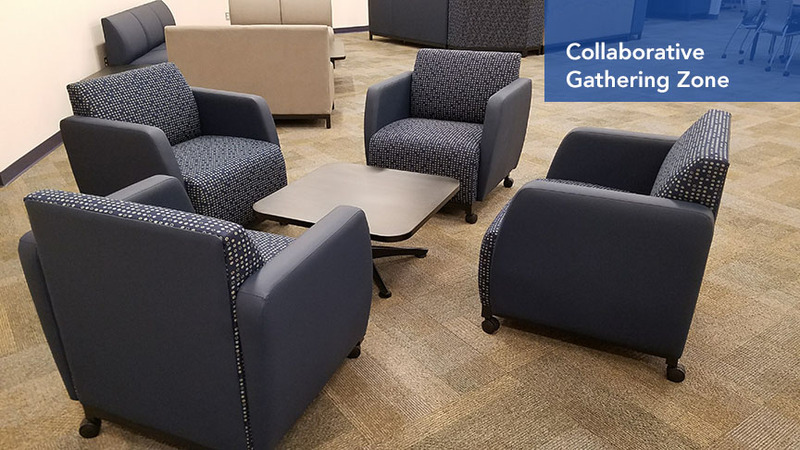 By rethinking and upgrading the physical learning space to meet the needs of 21st century learning, students are inspired to meet up, work, collaborate and do research in groups, or individually and be able to utilize the latest technology for academic inquiry.